COLT 1903 HAMMERLESS .32 OR .380 WOOD GRIPS - Vintage Gun Grips - Reproduction Pistol Grips, Buttplates and Grip Caps. Walnut Grips made in the tradition of the old world and imported from Europe. 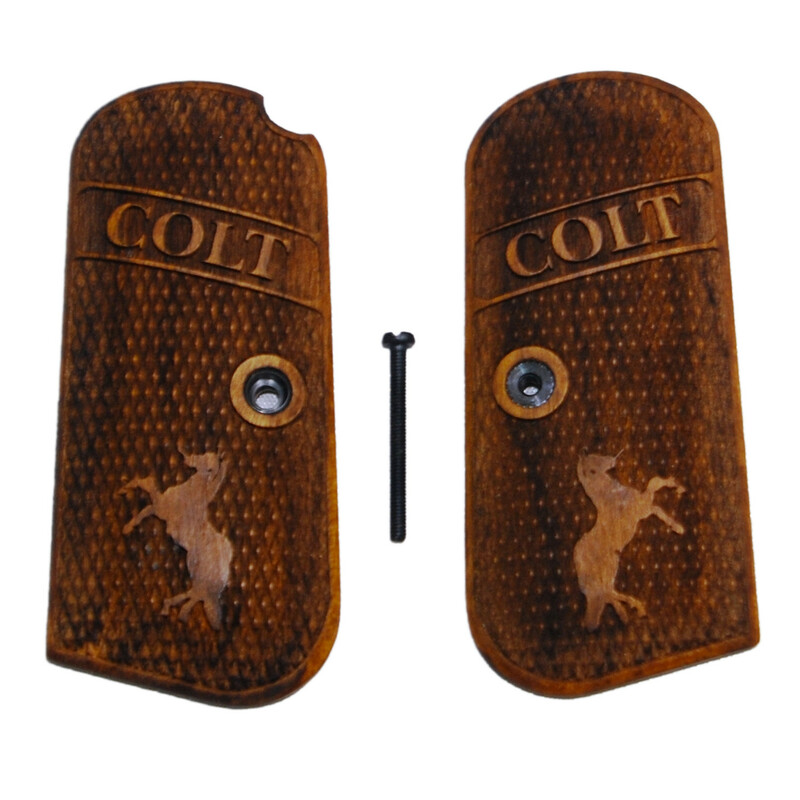 These grips fit the Colt 1903 hammerless pistols chambered in .32 or .380. Includes grip screw and escutcheons. Officially licensed Colt product.